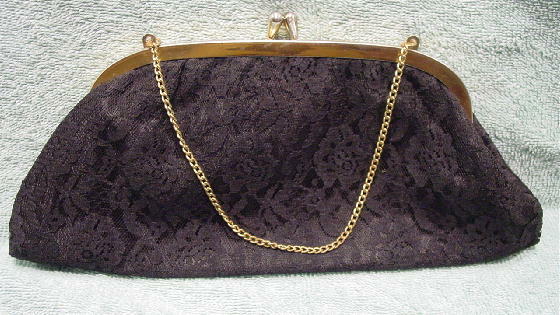 This vintage black lace evening bag has a small 12" long gold-tone chain. You can tuck the chain inside and carry it as a clutch. 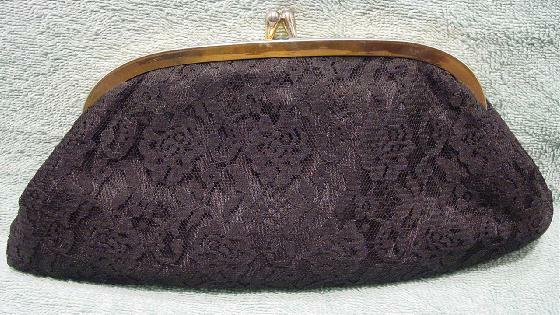 It has a somewhat tarnished gold-tone bypass closure and opening rim. There is a nice black shiny fabric (probably acetate) lining. It's from a former Czech model.